One of the most important decisions during your trip planning is to decide where to stay. You want to pick a place that’s convenient but affordable. You need accommodation that’s safe and comfortable. Is renting an Airbnb apartment a better and cheaper than booking a hotel? Before you book an Airbnb Washington, DC, here are a few important questions to consider. This page includes affiliate links. Please read the Trip Hacks DC disclosure for more information. How big is your family or group? Almost all hotels in Washington, DC can comfortably accommodate four people, but few have rooms for larger groups. For larger families this creates a dilemma: booking two hotel rooms doubles the cost of accommodation. This is where Airbnb shines. You can rent a larger apartment or even an entire house that can comfortably fit larger groups. That said, with large groups, make sure to understand the difference between an apartment that fits everyone and an apartment that fits everyone comfortably. A listing might say it can accommodate 6 guests, but if it’s a studio apartment with two people sleeping on couches, another two on an air mattress, and everyone sharing a single bathroom, that’s not comfortable at all. Is Airbnb cheaper than a hotel? Really? It’s a popular refrain: book an Airbnb because it’s cheaper than a hotel. This has become such “common knowledge” that almost no one questions it anymore. But is it true? The unsatisfying answer is: maybe. Hotel rates in Washington, DC vary dramatically based on demand. When big conferences and conventions happen, hotel rates go berserk. During slow periods like around the winter holidays, hotel prices bottom out. It’s not uncommon for a room to sell for $100 on a slow date and $400 on a busy date. Depending on the exact date of your trip you might pay $140 per night, $405 per night, or anywhere in between at this Marriott hotel. Airbnb hosts were less sophisticated when the service was new. They set one price year round; but now they’re catching on and adjusting prices accordingly. Plus, for all that travelers complain about hidden fees at hotels, Airbnb is fee-central. When you book an Airbnb in Washington, DC you’ll pay a service fee (around 20%), cleaning fee (usually $50-$100), and possibly even fees for each person staying at the apartment, all on-top of the advertised rate. Oh, and there’s tax. One reason Airbnb was historically cheaper than hotels was because hosts didn’t pay taxes. Even though the law required hosts to collect the ~15% accommodations tax as part of the regular rate and pay it to the city government on the visitor’s behalf, few did. Nowadays Airbnb charges the tax directly to the visitor during booking. After accounting for taxes and fees, you might wind up paying 50% more than the advertised price. That could make your Airbnb more expensive than a hotel. When it comes to Airbnb in Washington, DC there are two types of illegal listings. Some are strictly illegal (like apartments in rent controlled buildings) and others violate the host’s lease or the condo building’s bylaws. Should you care about whether your Airbnb is illegal? Are the police going to come and toss you on the street in the middle of the night? No, that’s probably not how it’s going to go down. 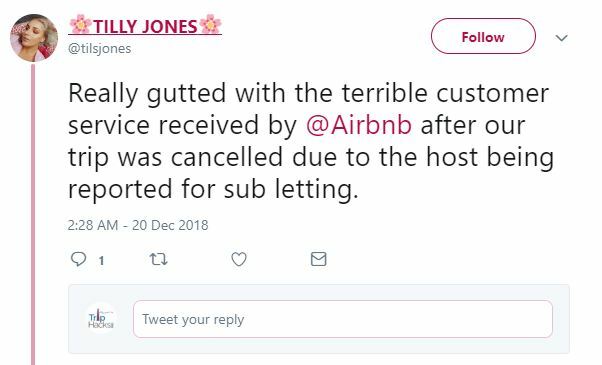 The risk with an illegal Airbnb is that your reservation gets cancelled once your host gets busted by their landlord or condo board, leaving you stuck scrambling to find another place to stay. What’s confusing about Airbnb to a lot of travelers is that even though you prepay the full amount and get an official confirmation number, your reservation can still get cancelled for any reason. 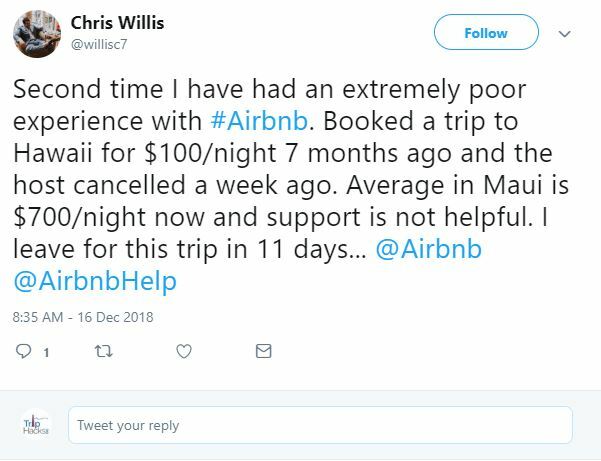 Airbnb customer service has a mixed reputation for taking care of customers during cancellations. They might put you in an expensive hotel for free or at a less desirable apartment at a higher cost. Adding to the confusion is that the DC Council passed legislation in 2018 to regulate Airbnb in Washington, DC. 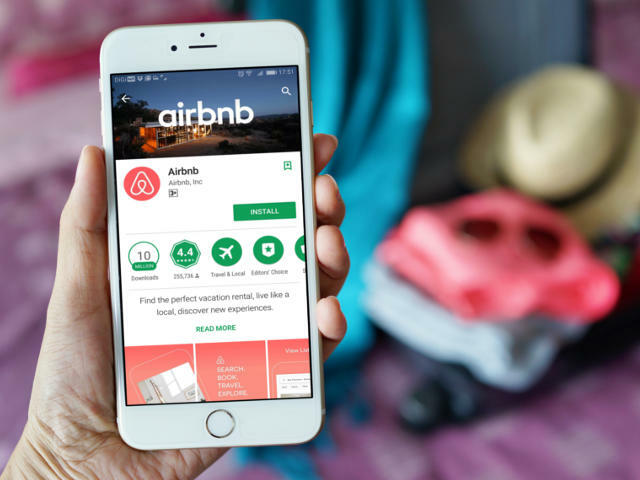 There will be a transitionary period for hosts to make sure their Airbnb is compliant, but after that it’s a big question mark about what happens. In Japan a similar situation resulted in thousands of Airbnb bookings getting cancelled. So how do you know if your Airbnb is illegal? Unfortunately it’s pretty much impossible to know. There is no filter on Airbnb to show only legal listings, but there are a few red flags to look out for. If the listing has weird instructions, like to only use the back door and avoid the front desk, it’s probably illegal. If the host says not to speak to any of the neighbors, it’s probably illegal. If the apartment is in a large condo building, it’s probably illegal. The safest Airbnb apartments are those that are owned outright by the host and not part of a condo association. For example, many basement apartments are owned by the person who lives upstairs. These have the added benefit of having the host nearby in case you need anything during the trip. Is your Airbnb in a good location? When it comes to getting the most of your trip, it’s all about location, location, location. We outlined 11 great areas for visitors in our hotel guide, and these areas all apply to Airbnb apartments as well. Some people seek out Airbnb in Georgetown or Airbnb in Dupont Circle because they want the experience of feeling like they live in these historic neighborhoods. 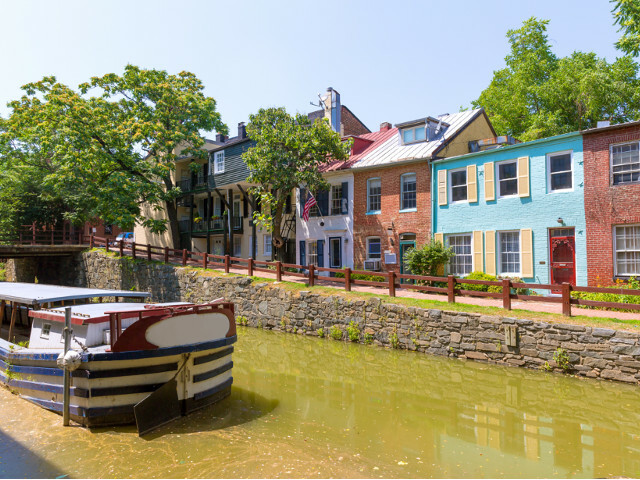 Picking an apartment in a historic area like Georgetown can make it feel like you’re living like a local. Unlike hotels, which concentrate in areas convenient for visitors, Airbnb apartments are everywhere, and you don’t get to see the exact address until after booking. If you see an Airbnb advertised as “close to Metro” make sure to note or ask which Metro station. Metro stations are not equally convenient and some are not great for visitors. If there is any doubt, search for that station on our map and see if it’s in one of the 11 recommended areas or at least close to one. Be careful with listings that measures distance in time. If an Airbnb is “10 minutes to Metro” you need to know 10 minutes by what? If it’s 10 minutes by foot, that’s probably reasonable. If it’s 10 minutes by driving, that could mean it’s miles away. If you don’t have your own car or a rental car, this would be a big problem. Are you really going to use that Airbnb kitchen? One commonly cited reason for choosing Airbnb over a hotel is that you can cook your own meals. Cooking in a kitchen is a lot cheaper than eating out at restaurants. This is fine if you’re actually going to do it. Be honest with yourself, do you really want to cook on vacation? For a lot of people, vacation is an escape from everyday chores like cooking and cleaning and eating out is one of the best ways to experience the culture of a new city. If you want to cook in your Airbnb, make sure the apartment comes with pots and pans and cooking utensils. If you do plan to cook then double check that the Airbnb includes pots and pans and cooking utensils. 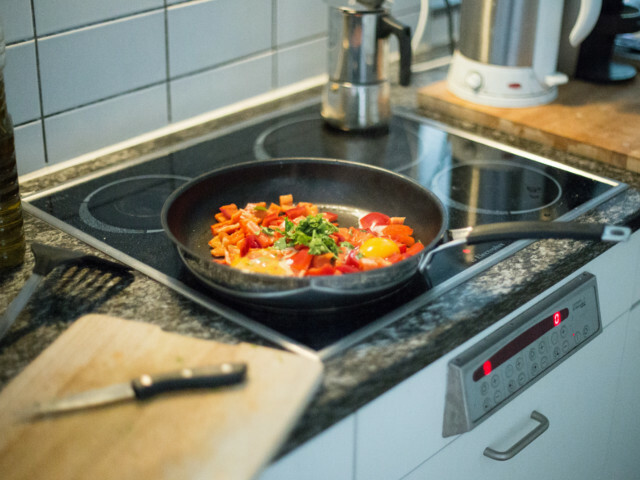 It sounds silly, but some Airbnb hosts remove these from their apartments out of fear that the renter might burn the place down if they don’t know how to operate the appliances or forget to turn the stove off before a full day of sightseeing. If saving money on meals is important, remember that many hotels offer free continental breakfast. Brands like Residence Inn, Homewood Suites and Hyatt Place all serve free breakfast to their guests. Our hotels guide lists several of these properties around the city. Are past reviewers being honest? Airbnb reviews are meant to keep hosts in check, just like eBay reviews are meant to keep sellers in check. In reality, it’s not so simple. Airbnb reviews skew very positive. Some people never leave anything other than a perfect review no matter how good or bad their stay. Why? Because unlike hotels, which can be booked with a few clicks, many Airbnb apartments make you contact the host first and ask them permission to book. Hosts live and die by reviews. They often check profiles of potential renters to see what kind of reviews they left in the past. Someone who left negative feedback before (no matter how legitimate) might be considered too hard to please. You can often get a good sense of a place by skipping the stars and reading between the lines. Look for complaints or red flags even if the overall review is positive. Renters with bad Airbnb experiences often go back to the reviews after the fact and realize the writing was on the wall the whole time. Trip Hacks DC was founded by Rob, a veteran tour guide in the Nation's Capital. We offer tips and travel hacks to help you plan your trip, and guided tours to show you around once you get here. Trip Hacks DC was founded by Rob, a veteran tour guide in the Nation's Capital. Everyone wants to get the most out of travel experience; we know that planning a trip can be fun but sometimes stressful. The tips and travel hacks offered here will help you make the most of your trip and avoid missing out on the best things the city has to offer. Our trip planning e-book is the perfect resource for every first-time Washington, DC visitor. If you're looking for a guided experience once you arrive, Trip Hacks DC specializes in private tours; but has public tours options as well. Visit the Guided Tours section to learn about some of the suggested tours and the trip planning resources section for help preparing for your trip. Feel free to contact us if you have any questions! © 2017-2019 Trip Hacks Travel LLC. All rights reserved.